All users are required to update their reporting entity address once post login. Functionality to download Statement XML is now available on request. Data Quality Reports (DQR) for Statements (Forms 61, 61A & 61B) are available for download. Please submit corrections to resolve errors, if any. Please check the validity of the Digital Signature Certificate in your profile and update, if the same has expired or expiring shortly, to avoid any inconvenience. Q.1. Who can add/ remove users to Reporting Entity? A. Only principal officer of reporting entity can add, remove or change other users using the links available in profile section on reporting portal. Q.2. What is Statement DQR? A. It is the Data Quality Report specific to the particular submitted statement (other than orignal) against which it is visible and will not be updated post submission of a correction/ deletion statement on the original statement. Q.3. What is Consolidated Defect Data Quality Report? A. It is the Data Quality Report that displays defects in the original statement which are still pending for resolution. The submitted correction/ deletion statement (if any) is also considered for generating this DQR. Q.4. 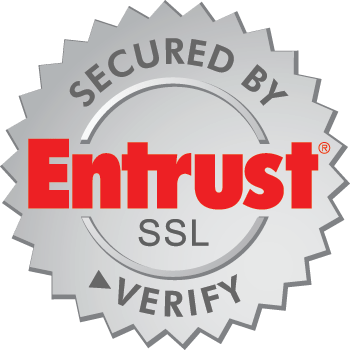 How to view and save the digital signature certificate? Who is a Reporting Entity? What is third party reporting obligation? How can an entity comply with reporting obligation? Reporting Entity or Reporting Person is an entity which is required to furnish a Statement of Financial Transaction (in Form 61 A) or Statement of Reportable Account (in Form 61B) with the Income Tax Department as per the provisions of section 285BA of the Income Tax Act 1961. Also, Under Rule 114D of IT rules 1962, any entity/person receiving Form 60 is required to report details of Form 60 in Form 61. What are the Reporting Obligations u/s 285BA of the IT Act? Under the Annual Information Return (AIR) Scheme, which was introduced w.e.f. 01-04-2004, specified entities were required to report notified transactions to ITD. Section 285BA of the IT Act was amended w.e.f. 01-04-2015, and it now requires specified persons to furnish Statement of Financial Transaction or reportable account. Under Rule 114D of IT rules 1962, details of Form 60 are required to be reported in Form 61. Rule 114E mentions the nature and value of transactions which are required to be reported. Rules 114F, 114G and 114H deal with due diligence procedure for identification and reporting of reportable accounts. How can an entity comply with reporting obligation? Copyright © Income Tax Department, Ministry of Finance, Government of India. All Rights Reserved | Site Last Updated on 05/04/2018. This site is best viewed in 1024 x 768 resolution with latest version of Chrome, Firefox, Safari and Internet Explorer.